To celebrate the last year, my Mum and I made a new years resolution to treat ourselves to an afternoon tea once a month, at all the iconic venues in the city we'd always wanted to go. Indulging in sandwiches, scones, cake, tea and a chit chat once a month was definitely a resolution that we were able to stick to! So I thought I'd share with you some of the spots in London where you'll find the good, bad and ugly ways of enjoying of this age old English tradition. Unsurprisingly, our first stop was somewhat unconventional. 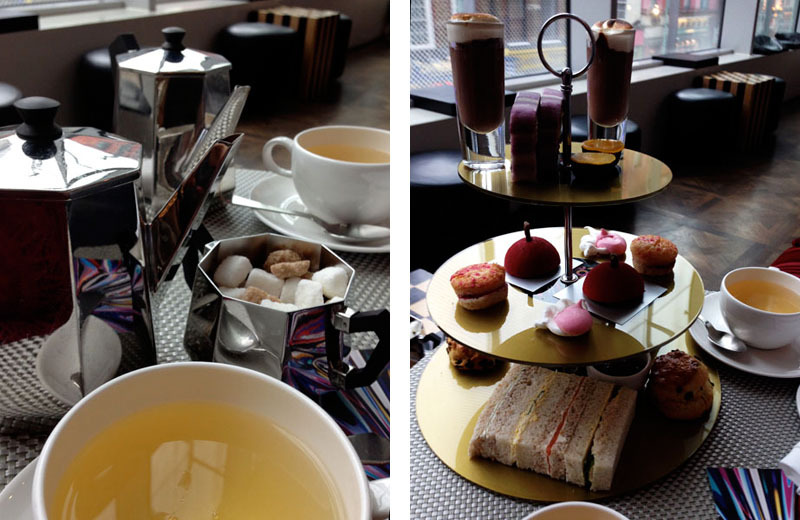 Instead of going with the traditional, we began with a rock 'n' roll inspired interpretation of afternoon tea at the W Hotel, Leicester Square. The W Rock Tea featured a cocktail, sandwiches, scones and cakes inspired by legendary rock 'n' roll artists and tracks, all presented on three tiers of vinyl records. First a 'Rock Mar-tea-ni' which aside from being a great pun was a fabulously fresh Hendrick's cocktail served in a teapot, followed by 'Dark side of the Moon' sandwiches of smoked salmon, egg mayonnaise, cucumber and roast chicken. Next were 'Rule Britannia' scones, followed by a selection of rock themed cakes including a gorgeous glittery 'Purple Haze' battenburg and a very messy 'Sticky Fingers' meringue, all served in the iconic W Lounge. There was even a live DJ, in a very bizarre but fabulous sequined dress and night cap, serenading us with slow rock as we fell into a sugary coma. I probably won't go into specifics as much with a lot of the other afternoon tea experiences I'll share with you, but with this one I will, simply because the attention to detail was sublime. Everything had been carefully considered, selected and displayed with the intent of ensuring a completely unique and first class tea service, and it really made all the difference. The staff were all really helpful and friendly, informing us that everything in our tea was replenish-able, they kept offering us more, didn't rush us in any way and even invited us to stay for a cocktail in the lounge after our tea. Sadly the W Rock Tea, as with all the themed afternoon teas at the W Hotel, was only available for a short time, but I would not hesitate to go back again. It was the perfect way to while away what was a very dreary January afternoon, and what's more we even managed to get the tea on a 50% off offer, making it a luxurious treat that everyone can afford, and one that I would recommend completely. I love afternoon tea! It's one of my favourite ways to spend my afternoon and always so yummy! Yours looks amazing, so quirky and different to plain out sandwiches and scones! Glad you enjoyed! 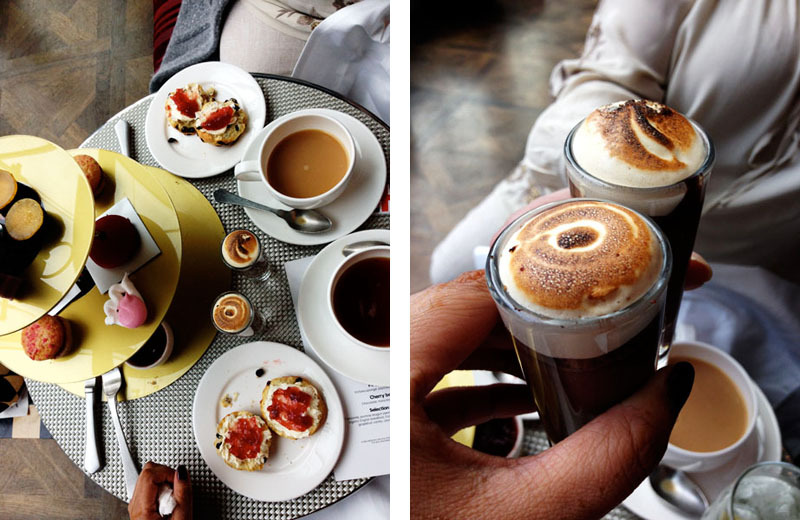 Afternoon tea is so chic and lovely! I love the idea of going for afternoon tea once a month! I always do this with my mom as well. And I really like the pictures, too! X Sjoukje! What a wonderful idea to spend time with your mom every month! I should do that too, even though I see her a lot. We should get some real quality time together. Your pictures are stunning. Love, Layla Rosita | Enter my giveaway for a chance to win Lena Dunham's book! Yes! I love tea! I make myself tea at home all the time, and just relax while sipping it. But I'm sure it's nothing compared to this experience you have with your mom. The photos look so amazing! Wow, this looks amazing! Those pastries look delicious! Wow great pics. 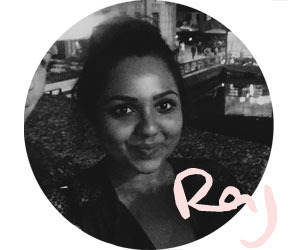 Love your blog, Raj! Couldn't think of a more ideal way to spend the afternoon, the sandwiches sound delicious and the scones look so good. This looks like so much fun, love the themed cakes! Wow this looks like such a fun experience! 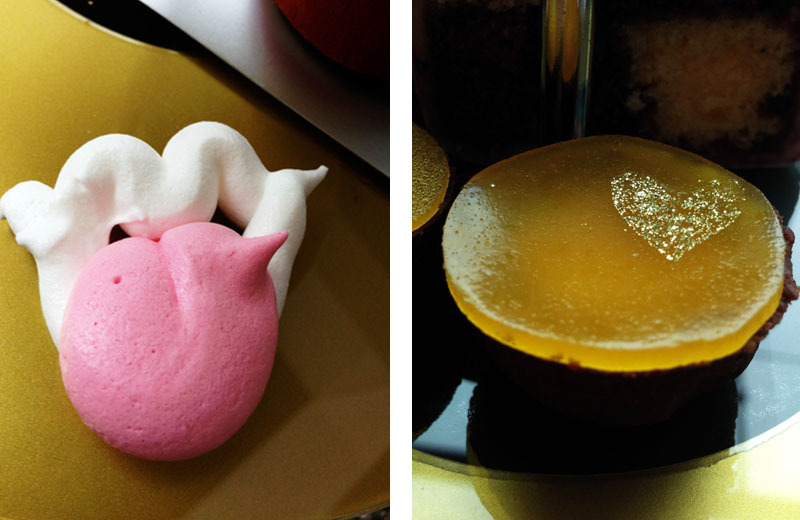 I love the pictures, this themed tea looks delicious! Great post! This place looks amazing! I love trying new places for tea! Now that is a resolution I could stick to. Looks like you had the perfect time! I love restaurants/ cafes that make the food look like art! wow it absolutely looks like you had an amazing time over there :) love it ! Looks so good and beautiful! What a fun day! Yum! Wow, this is a New Years resolution I could definitely get on board with! What a lovely idea! This afternoon tea looks amazing, it's a shame it was only on for a short time. I love the fact you get a cocktail, and the cakes look delicious! What a great resolution! Everything looks so fabulous and delectable and pretty! Oh my god. YES. This looks absolutely incredible. I'm a big tea fan and I love W hotels so this looks perfect. omg great blog post !!! keep up the good work !! I love that you and your mum go for afternoon tea every month. That's so sweet! I actually haven't been for afternoon tea before, I definitely need to though!